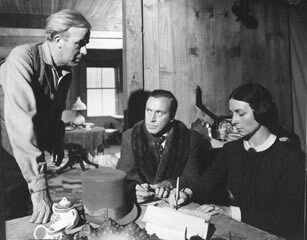 This filmography begins with Citizen Kane and is limited to released films: excluded are television programs like Orson’s Bag (1968-69) or The Orson Welles Sketchbook (1955), and unreleased works, as discussed above. 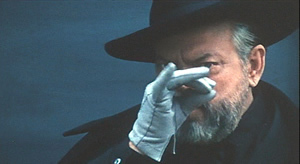 A complete transcription, with comments, of Welles’ 1978 essay film. 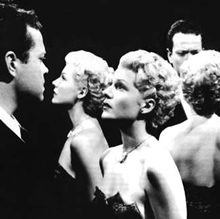 Plenty of links to Welles related articles. Countless radio broadcasts of shows put on by Welles’ Mercury Theatre company; a real treat for fans of old-time radio and Welles’ voice. Files are downloadable in Real Audio and MP3 formats. With comments by Lawrence French. Dedicated to the director; in Spanish and English. Review by Jeff Meyer; from the 1988 Seattle Film Festival. 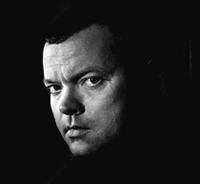 Managed and maintained by Jeff Wilson, this ongoing internet project has an impressive catalogue of rare images (production stills, posters from around the world), a broad survey of Welles’ television, radio, and film work, an exhaustive list of books, audio recordings, and internet links, on Welles and his films, and a forum populated by a half dozen extremely dedicated Welles-o-philes, foremost among them Wilson himself. By using the word “unseen” I am, of course, excluding private screenings and things like that. Like the Cannes Film Festival, which cancelled its 1998 showing of the reedited Touch of Evil at her behest. There’s a pretty thorough account of what happened to Ambersons in This is Orson Welles, the Bogdanovich-Welles interview book, taken in conjunction with the audio essay on the 1986 Criterion Collection laserdisc edition of the movie, by Robert Carringer. 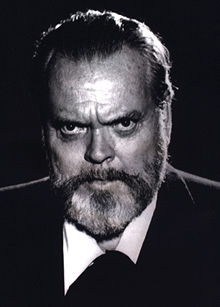 Carringer’s work is also available, undoubtedly in greater detail, in book form, although Jonathan Rosenbaum, who edited This is Orson Welles, had not a little to say about how and why Carringer’s admittedly diligent and invaluable efforts in uncovering what happened and how, may not represent the final word as to why. 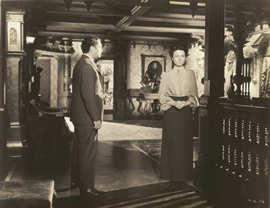 The same game can be played with The Magnificent Ambersons and (the first version of) Touch of Evil. He didn’t wait until getting into movies to do so, either; his work with Shakespeare in the theatre (most famously represented by his production of “Voodoo” Macbeth) reflected an attitude that was all the more affectionate of the Bard in its experimentation and “loose” adaptation. Additionally, in 1934 Welles collaborated with Roger Hill on a book called Everybody’s Shakespeare, for which he wrote an introduction that suggested that the best way to study Shakespeare was not to study his plays at all, but to read them, enjoy them, and perform them. Jonathan Rosenbaum’s essay, “The Seven Arkadins” in his Movies as Politics essay anthology, can serve as a major starting point. 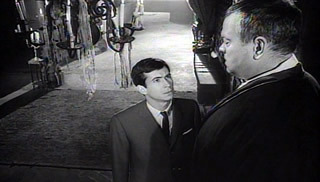 Philippe St-Germain’s essay Orson Welles’ Mr. Arkadin – A Maze of Death, in Senses of Cinema, is an exciting and informative exploration of the movie’s complexities, many of which may not be readily apparent to the casual viewer. 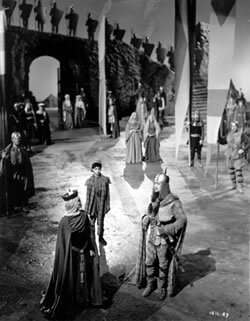 With the possible exception of Macbeth, but the “stagey” elements of that movie, which are blatant, are an interesting, if ultimately abortive, attempt to merge theatre and movie mise-en-scène, rather than mere evidence of a Shakespeare enthusiast turning one of his plays into a shooting script, without considering the implications of the film medium. Reichenbach remained as a collaborative presence, and apparently a friendly one, although he is officially credited as executive producer and “special participant” rather than co-writer or co-director.